Central Farm Service’s branding slogan is “The Power of Progress”, which is not just a statement of intention, but an action. In my opinion, this is best illustrated by our precision agriculture department, known as Central Advantage GS®. 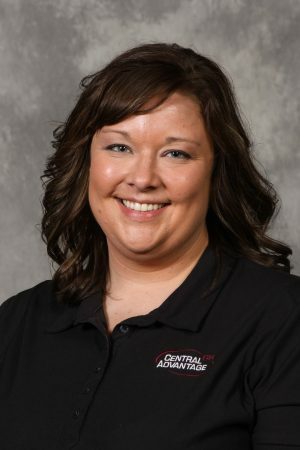 While I have only been involved with Central Advantage for the past 5 ½ years, it was first introduced in 2003. The program is a data management and analysis program that offers a wide range of precision technology tools.By utilizing new technologies and local data, the program has grown from 10,000 acres to over 250,000 acres that encompasses southern Minnesota. In an effort to continually bring new tools and technologies to our customers, as well as focus on agronomic sustainability, we started focusing intensively on nitrogen management over five years ago. In 2012, we developed the NitrateNow program, which has become our nitrogen management program and a part of our sustainability story. Starting with only a couple thousand acres five years ago, we have developed and we continue to improve on the program that is now used on over 76,000 acres. Intensive grid soil sampling has long been used on other nutrients to drive variable rate fertilizer applications across fields. Because of the characteristics of the nitrogen, this nutrient is more variable in fields and is typically one of the most expensive crop inputs. Nitrogen is also one of the toughest nutrients to manage because of its ability to move through the soil profile easily. On top of all of this, high nitrate nitrogen levels in water sources has brought environmental concerns to the forefront. These agronomic, economic and environmental drivers illustrated the need to look at managing and applying nitrogen differently than we have in the past. The program started with us taking a chance on a new technology available from a business partner we had worked with in the past. The Solum No-Wait Nitrate machine provided us with the ability to test soil nitrate levels and have results within five minutes. Soil samples could currently be tested, but would have to be shipped out and the turnaround time was a limiting factor. This new platform presented an opportunity to integrate nitrate data into our local database created with Central Advantage. In the beginning, we utilized Advanced Crop Management, the soil sampling company we had worked with, and had them pull 10 acre grid soil samples at a 12 inch depth. The soil samples were then processed and tested with the No-Wait Nitrate machines we had at one of our locations. The soil sample result was then overlaid on the geo-referenced soil sample point to create a variability map of each field. I then researched a wide range of recommendations that had been used historically with nitrate samples. I also looked through our local database; and with the help of another agronomist, we developed our first variable rate nitrogen recommendations. We utilized a tool called Learning Blocks, which was a part of the Central Advantage program. These blocks were small 1-3 acre spots in the field where we would place a lower rate or a higher rate check. We gathered harvest data and analyzed it comparing the different rates, yield and return on investment. We were seeing positive trends and responses in the fields. From this information, more adjustments were made, which resulted in more recommendations for testing. Our goal was to improve nitrogen-use efficiency, meaning we wanted to identify the right amount of nitrogen to apply to the right areas of the field without significantly over applying or sacrificing yield potential. Improving nitrogen-use efficiency is critical to sustainable agriculture. This past season was our fifth year working with NitrateNow. Many changes have occurred over the years. There are now over a dozen recommendations for various cropping situations and expansion to different soil sample timings throughout the growing season. We have also shifted from using 10 acre grids to primarily using 4.4 acre sample grid. By increasing the number of soil samples taken in a field, it increases the number of measurements and gives a more accurate representation of the field. This results in a more accurate recommendation, while minimizing operational costs. By continually adapting and doing internal research, we have almost doubled the number of acres enrolled in the program each year, since its beginning in 2012. By working intensively with the program, many opportunities have been created. I have worked on numerous water quality and soil nutrient committees and have had the opportunity to speak to in front of multiple groups raising awareness of the need to manage nitrogen differently, as well as promote the actions that are already being done. Over the five years of using the NitrateNow program, we have worked with approximately 170,000 acres, which is more than 32,000 individual soil samples.